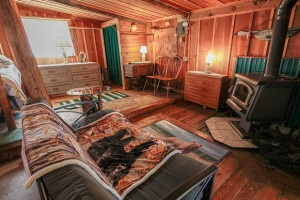 The "Hidden gem of the Bitterroot", Anglers Lodge & Cabins - seen on HGTV - is the only lodging business of its kind in the valley. 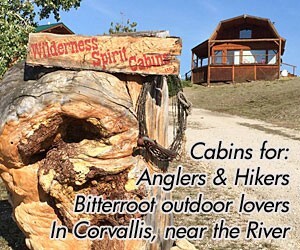 9 lakeside cabins, 2 suites, private lake. Perfect location for corporate retreats, family reunions, getaways or anglers wanting immediate fishing. Select from Lodge B&B rooms or your own Cabin on the Pond. Vacation in the Montana wilderness in the famed Big Sky country. Tin Cup Lodge is ideal for a romantic getaway or a weekend escape.